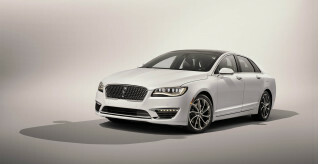 Shopping for a new Lincoln MKZ? The 2018 Lincoln MKZ’s relatively low base price bloats quickly with safety and luxury options, so shop carefully. The 2018 Lincoln MKZ is a comfortable, quiet luxury sedan with the right ingredients but lacks in execution. Two turbocharged engines and one hybrid powertrain are on offer. Standard on the MKZ is 2.0-liter turbo-4 rated at 245 horsepower, while a 3.0-liter twin-turbo V-6 rated at either 350 (front-wheel drive) or 400 hp (all-wheel drive) is available on Reserve and Black Label trim levels. The bigger engine delivers terrific passing power, but doesn’t turn the MKZ into a sports sedan in a Tom Ford suit. The MKZ Hybrid make may the most sense in the lineup with its gas and electric motors that combine for 188 hp and, more importantly, 40 mpg combined. While not fast, the MKZ Hybrid is quiet and refined and its base price of around $36,000 makes it a low-guilt choice for buyers who value comfy seats, isolation, and good fuel economy. Although the MKZ has performed well in federal and independent crash-testing, Lincoln makes buyers opt for a $2,500 package to get automatic emergency braking. 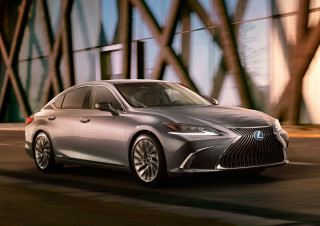 That’s a surprise for a luxury car, especially since chief rivals like the Lexus ES and Acura TLX make that collision-avoidance tech standard. The MKZ lineup culminates with Lincoln’s pricey Black Label treatment. 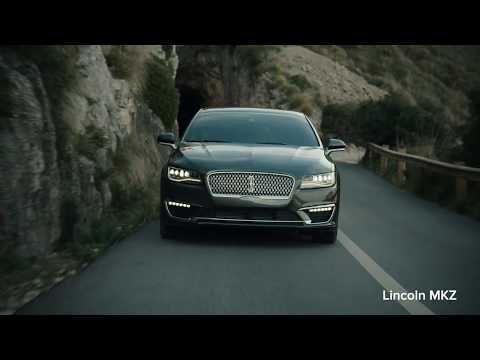 In addition to rich leather upholstery and real wood trim, Black Label buyers get four years’ worth of after-purchase perks like complimentary car washes, an annual detailing, and Lincoln picks up the bill for servicing. The 2018 Lincoln MKZ says luxury outside, not inside. Its fastback profile helps the 2018 Lincoln MKZ cut a dashing profile, but we’re not totally sold on how well its interior and its details add up to a price tag that can top $50,000 with a few options. The MKZ looks almost as though its rear window should open, like in the Audi A5, but its tail tapers into a conventional trunk lid with a thin ribbon of LED tail lights almost too subtle for a luxury car. 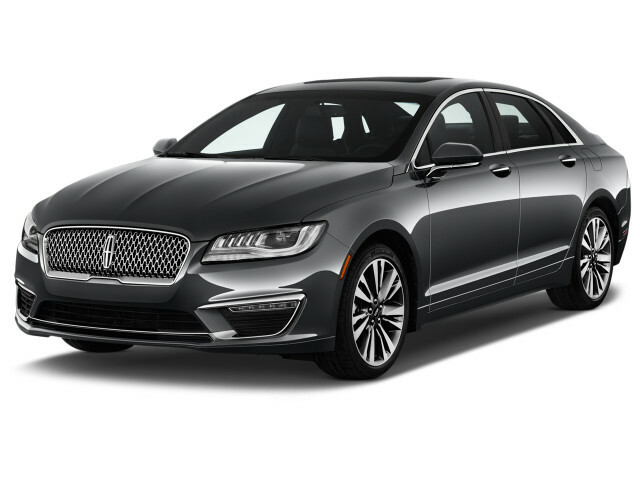 Up front, Lincoln last year bestowed a clean, rectangular grille that hints both at the company’s Continental flagship and its former corporate cousin Jaguar. The look works well, especially in some of the more daring blue and red hues Lincoln offers. Inside, the MKZ reveals its more pedestrian Ford Fusion roots, but only if you look closely. There’s no conventional gear lever; instead, you’ll find a line of buttons flanking the 8.0-inch touchscreen infotainment system. Below, conventional hard buttons control the climate and audio systems—a reprieve from the frustrating capacitive “buttons” Lincoln used in the MKZ’s previous iteration. Still, there’s no disguising the MKZ’s stark appearance. Matte plastic on most variants dominates, and even the Black Label’s glossy wood is more of a bandage than a proper fix. The 2018 Lincoln MKZ’s high-end engine option gives it substantial thrust, but that’s an outlier in what’s otherwise a sedate, relaxed lineup of luxury sedans. The gateway to the lineup is the MKZ Hybrid with its 2.0-liter inline-4 mated to a pair of electric motors and a lithium-ion battery for a total combined output of 188 hp. Although not fast, the MKZ Hybrid accelerates well enough around town and delivers an EPA-estimated 40 mpg combined. It’s the least exciting MKZ, yet its gentle demeanor is appealing to those looking for a more traditional take on the Lincoln experience. The MKZ Hybrid is only available with front-wheel drive, however. Skip over the MKZ Hybrid and you’ll find a 2.0-liter turbo-4 rated at 245 hp and 275 pound-feet of torque. 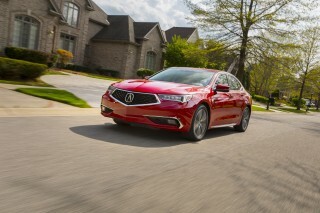 It accelerates briskly, albeit sans the underhood muffling you might expect from a luxury car. 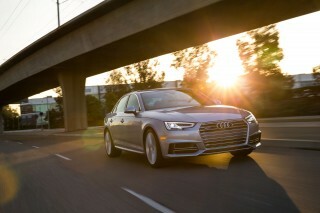 A 6-speed automatic sends power either to the front or, for around $2,000 more, to all four wheels. 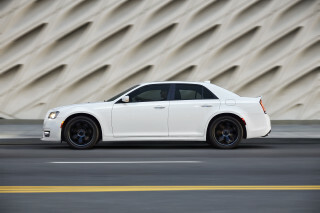 Optional on Reserve and Black Label trims is a robust 3.0-liter twin-turbo V-6. 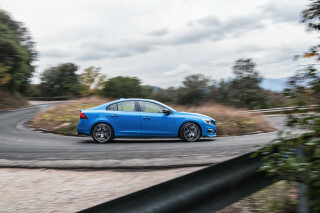 With front-wheel drive, the engine is rated at an impressive 350 hp. 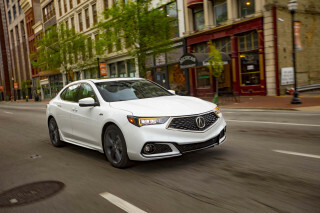 Pop for all-wheel drive and you’re in the 400-hp club since Lincoln rightly says that 350 hp is a little much for a front-wheel drive sedan. Even with the optional Driver’s Package that firms up the adaptive suspension and includes torque vectoring that brakes the inside front wheel to enhance hard cornering, the MKZ feels more like a strong cruiser than a sports sedan. Leave that task to rivals. The V-6 is a gem of an engine, but it’s matched to a chassis that would rather cruise all day on the interstate than slice through a canyon road. The MKZ benefits from the Fusion’s nicely weighted electric-assist power steering, although the Lincoln’s suspension uses instead adaptive shocks with three settings. The ride is surprisingly taut and the Sport setting feels the most natural of the trio. 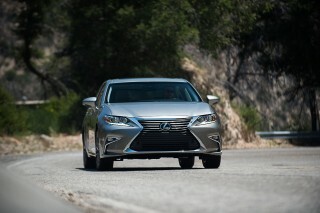 In other modes, the sedan struggles for composure with a ride that’s soft without being plush. The 2018 Lincoln MKZ is comfortable, but it takes adding many options to get to a real luxury feel inside. At its base level, the 2018 MKZ feels a little too much like the Ford Fusion inside. Matte plastic dominates the cabin and its synthetic leather upholstery doesn’t do a great job of convincing us of Lincoln’s luxury intentions. The MKZ Select subs in real leather and hints of real wood in place of the base Premiere trim’s plastic and aluminum. The MKZ Black Label is a standout, however, with its upgraded leather and comparatively exotic materials, although it doesn’t shed the Fusion-derived design as much as its $50,000-plus price tag suggests it should. The Black Label’s interior is available in three themes with kitschy names: Chalet, Thoroughbred, and Vineyard. That’s all marketing-speak for light gray, warm brown, and a merlot-like purple that works better in person than you might think. Still, every MKZ has comfortable front seats and decent room in the second row. The 15.4-cubic foot trunk is nicely finished but the sloping roofline cuts half a cube from the Fusion. The 2018 Lincoln MKZ’s crash-test results are encouraging, but active safety gear is a pricey option. All versions of the 2018 MKZ come with eight airbags including knee units for the driver and passenger, as well as anti-lock brakes, stability control, and a rearview camera. Blind-spot monitors with rear cross-traffic alerts are included on Select and higher trim levels, which also offer a $2,500 Technology Package that bundles automatic emergency braking with pedestrian detection, active lane control, automatic high-beam headlights, and adaptive cruise control. Pick those features and the price tag balloons to nearly $44,000. Inflatable rear seat belts run $250 and they’re designed to reduce the risk of chest injury for a wide range of passenger sizes. However, some child seat manufacturers don’t recommend them and the belts themselves are bulky and less comfortable in everyday use. In federal testing, the MKZ scores five stars overall, albeit just four stars for frontal crash and for rollover. One important note: the IIHS says that the MKZ performs just as well in the challenging small-overlap crash test on the passenger’s side as it does on the driver’s side. The IIHS alleges that many other cars appear to have been engineered specifically for the driver-side test, but that’s not the case with the MKZ. The 2018 Lincoln MKZ can feel like a true luxury car, but it takes adding a few options. The 2018 Lincoln MKZ looks spartan at its entry price, but piling on the options delivers a proper luxury car experience that extends well beyond the initial purchase. Both the 2018 MKZ and the MKZ Hybrid are offered in four trim levels that sound more like Irish whiskies: Premiere, Select, Reserve, and Black Label. There’s not much to pick other than color with the MKZ Premiere. All versions have synthetic leatherette upholstery, an 8.0-inch touchscreen infotainment system (oddly without Apple CarPlay or Android Auto support on any MKZ), a 10.1-inch LCD instrument cluster, 18-inch alloy wheels, 10-way power, heated front seats, and an 11-speaker audio system. Options are limited to all-wheel drive (on non-hybrids), a few extra-charge paint shades, and an appearance package with 19-inch alloy wheels. The MKZ doesn’t use parent company Ford’s latest Sync 3 infotainment system, which means it lacks Apple CarPlay and Android Auto. That’s a real surprise for a product from the brand’s flagship lineup, especially since many less expensive Fords have been retrofitted with the far more intuitive Sync 3 system. The MKZ Select feels more like a luxury car with its leather upholstery and glossy wood trim and it’s the gateway to more option packages. The Technology Package adds a host of safety goods and is worth its $2,500 price tag. The massive panoramic moonroof doesn’t open very far and blocks rearward visibility when open, so we’d think twice about its eye-watering $2,995 price of admission. Spend $1,200 for the conventional moonroof instead. A cold weather package bundles goodies like a heated steering wheel and heated rear seats and a Revel-branded audio system is an individual option. The MKZ Reserve adds navigation, blind-spot monitors, and a power trunk lid, but its real asset is a wider range of interior trim hues including a warm Terracotta/Ebony combination. The MKZ Reserve is also the first trim level available with the 3.0-liter twin-turbo V-6 engine. From there, the MKZ Black Label is the line’s flagship—and it feels like one with its upgraded leather, 20-speaker audio system, and choice of three interior “themes.” The Black Label package includes an adviser to help customers order their cars. Once the ordered MKZ Black Label is delivered, owners are supposed to receive white-gloves treatment at the dealer. For the next four years, MKZ Black Label owners can drop by their dealers for free car washes and an annual detailing, plus four years of free maintenance. Surprisingly, Lincoln doesn’t include the Technology Package as standard on the Black Label. An MKZ Black Label with all the boxes ticked lists for upwards of $63,000. The real star here is the 40-mpg 2018 Lincoln MKZ Hybrid. The 2018 Lincoln MKZ boasts good fuel economy that gets even better with the hybrid-electric powertrain. The 2018 MKZ with the standard turbo-4 and front-wheel drive checks in with a respectable 21 mpg city, 31 highway, 24 combined. 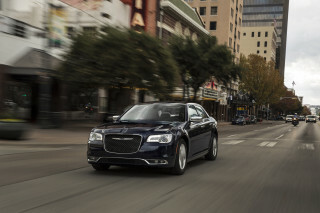 Opt for all-wheel drive and those figures slide to 20/28/23 mpg, a surprisingly big highway mpg hit. Select the robust twin-turbo V-6 and you’ll use even more fuel to the tune of 18/27/21 mpg with front-wheel drive and a thirsty 17/26/20 mpg with all-wheel driven. Then again, 400 horsepower and 20 mpg isn’t a bad ratio. The MKZ Hybrid is the miser of the group, even if it’s not available with all-wheel drive: 41/38/40 mpg. All versions of the MKZ run on regular unleaded fuel, something not too many luxury cars can say. Hard to disguise Fusion roots but other than luxury items you pay dearly for I would take the Fusion over this every time. Looking for a different year of the Lincoln MKZ?